Independent Lens or POV or Both? Maxine Trump got her start in radio and television, working for seven years in development and commissioning for BBC Comedy in the UK. She emigrated to the US in 2003 to become a director of television commercials and has received both Gold and Silver BDA awards for her work. She went on to direct short documentaries and TV shows for various networks including TNT, the Sundance Channel and Discovery. "Imagine that someone who has already successfully navigated challenges you are about to face gives you a magic playbook: a thorough, focused, and generous guide you can consult at every forking of the road. 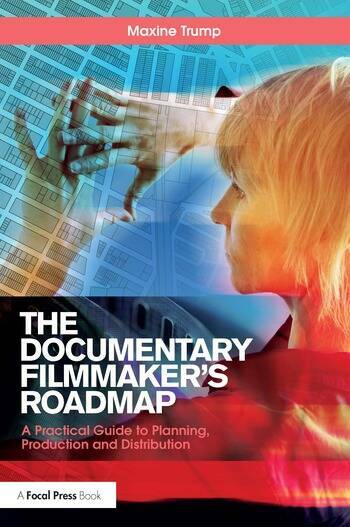 For documentarians, Maxine Trump’s The Documentary Filmmaker’s Roadmap is that playbook." "I wish I had had this book at the beginning of my career. It tells you all the questions you need to be asking in every step of your filmmaking process and helps you answer them, too."